Review – Evac Pack Field Kit. Travelling along a road less travelled brings a sense of freedom and adventure that enables one to feel closer to the world we travel through. Whether you enjoy strolling through the local woods or following in the steps of Wainwright or Muir it’s important to consider the risks involved and have a plan should an accident occur. A well-stocked first aid kit need not be prohibitively expensive or so large that you need a dozen Sherpa’s to carry your gear. It is not point having the best medical gear possible if its back at home or left in the boot of the car. There is also little point going to the expense of purchasing expensive advanced first aid gadgets if you do not have the training and experience to use them appropriately when needed. When you're preparing for an emergency far from help, or when help just isn't available, you need to ensure a high degree of medical self-sufficiency. Designed to deal with either multiple casualties, or one casualty over a prolonged period, our Field Medikit contains all you need to treat a wide variety of common injuries and conditions out in the field. It's suitable for expedition use and meets the requirements of the MLTB leadership schemes. There are no filler items here - everything has a place for a reason: for heavy bleeds, there are 4 ambulance dressings which can also double-up as pads for penetration wounds (there are also three different sizes of sterile dressing); 2 triangular bandages for a whole host of injuries and applications; 5 pairs of exam gloves, because you go through them so quickly; tea tree oil to prevent infections and soreness; fabric plaster because it's the only kind that sticks; zinc oxide tape to hold dressings in place and repair damaged, blistered feet; Vaseline to treat or prevent chaffing, windburn and cracked, dry lips; perhaps most handy of all, 3 vials of saline solution - I can't tell you how many times I've needed this in the past and none of my £40+ first aid kits ever had it in. It comes packed sensibly so that the things you need are right there handy for you. The green ripstop nylon case measures 19x12x8cm and zips all the way around making it easy to access the whole kit in one go. The carry handle is reinforced and also has D-rings for a shoulder strap (not supplied). The kit can also be worn on a belt. We're absolutely convinced that you won't find a better outdoor medical kit than this for the money anywhere on the market. I met the guys from Evac Pack at the Primitive Archery and Atlatl National Championships. I was impressed with their desire to provide the best value products they could and were genuinely interested in feedback to continuously improve their offerings. If only all suppliers of outdoor kit thought more about their customers’ needs than just the bottom line. 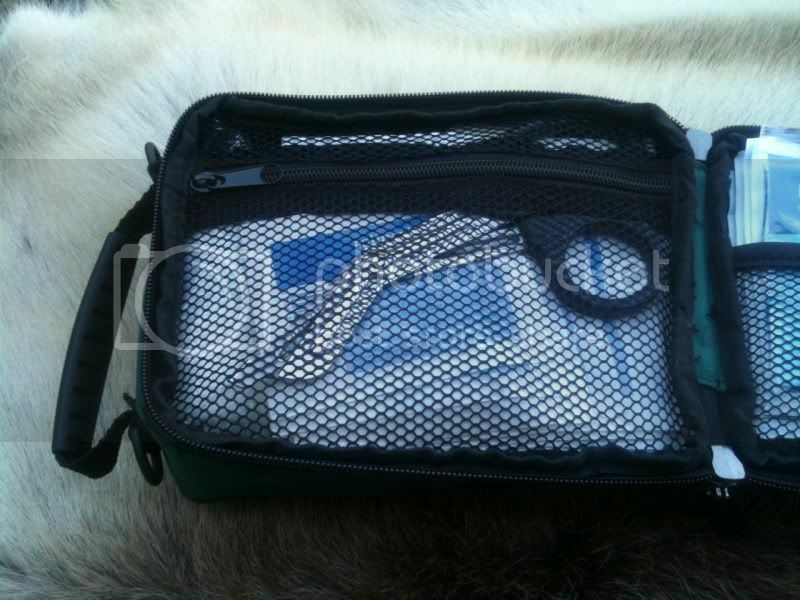 I was sent two first aid kits to look at The Field Kit and their latest offering the diminutive Cuts Pack. They were packaged well and dispatched promptly even surviving the attempts of my dog to investigate the parcel. The Field Kit is Evac packs most comprehensive kit and is aimed at the group leader going into wilder parts of the UK and beyond. My first impressions of the kit are very favourable it is a good size. It fits in the side pocket of my day sack and is not too large that I would not consider packing it for a couple of days out into the hills. Fast and light purists may consider it too large for personal use but that is not what it is designed for. 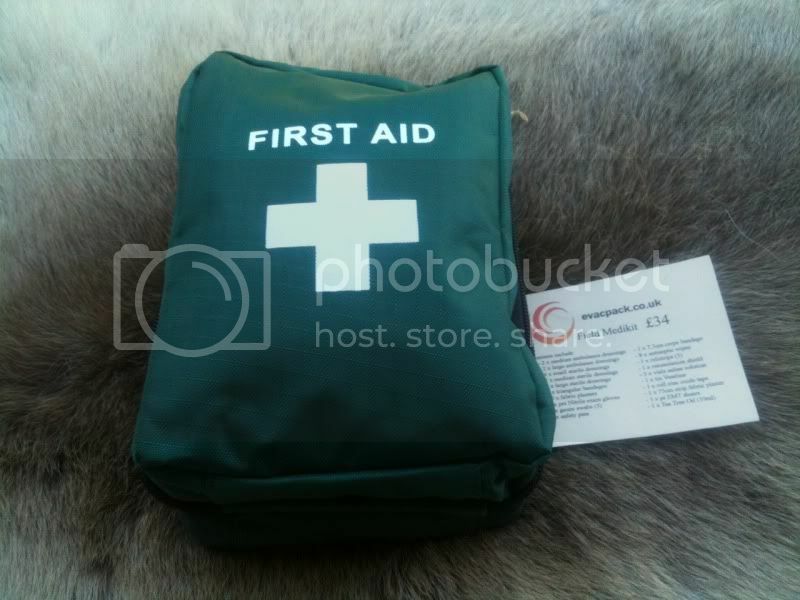 The pouch is made from bright green Ripstop Nylon and is clearly labelled First Aid with the white cross symbol. A bonus when you have tasked someone in an emergency to grab your gear. Trying to figure out which stuff sack contains the FAK costs time and adds to the stress levels. Simple is usually best. The wrap around zip allows the pack to be opened fully to get at the kit within. The Ripstop nylon is not fully waterproof but should withstand the rigors of life in a side pocket of a rucksack without letting water in. For water sports I will put the Field Kit inside a clear Seal line Dry Bag. This event was 3 days of mayhem with some of the worlds top gravity sport enthusiasts racing downhill and managing to injure themselves in a variety of exciting ways. Whist the Field Kit was not the only first aid I had on hand. I had a fully stocked trauma pack with me for serious injuries. I found myself grabbing the Field Kit along with a larger kit almost every time someone took a tumble. The contents of the kit were quick to access and the contents were good quality. The plasters were the correct size to deal with a large number of abrasions and blisters and did not need backing up with tape like some of the cheaper dressings from other kits. The triangular bandages were a good size and were robust enough to stabilise and support a dislocated shoulder after I relocated it. 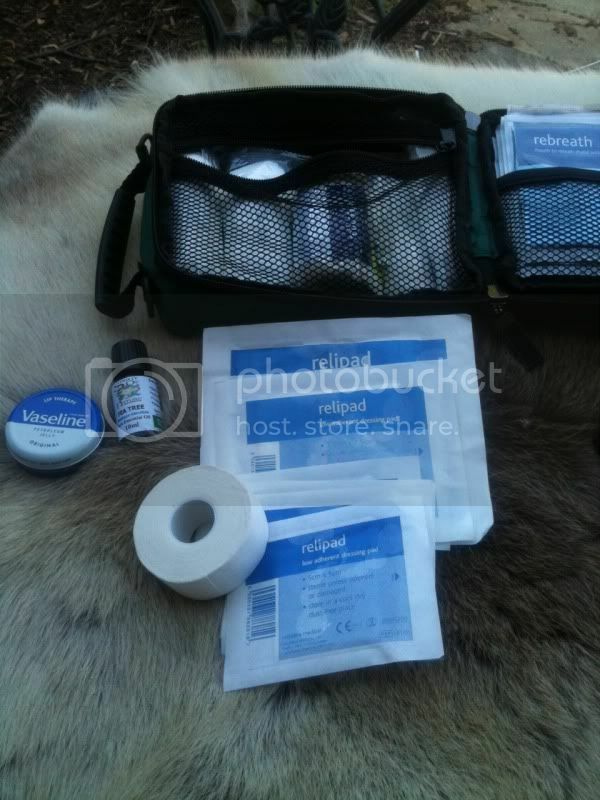 To conclude after using the pack for several days of intense first aid use I have to confess to being quite impressed with the Evac Pack Field Kit for the price you get a pretty good basic field kit that should be all that that the standard group leader first aider would need. Yet there is enough room to customise the pack to suit ones own personal preferences. I would lose the safety pins immediately and add a syringe and a needle for wound irrigation and blister treatment. I would also reduce the number of gloves supplied and increase the number of face shields. I would have 3 pairs of gloves and 2 face shields. 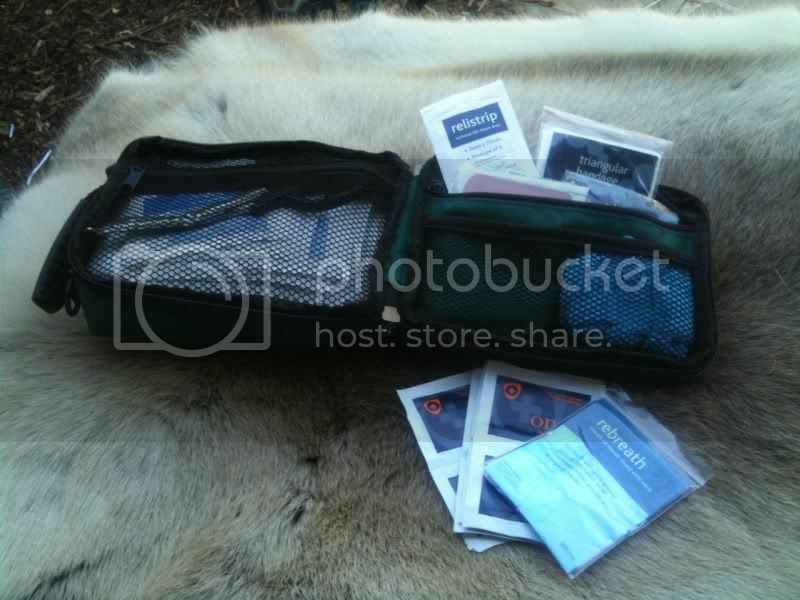 I have increased the number of plasters contained in my kit and added a set of tick removal tools. The beauty of the field kit is that its easy to see the contents and to organise the items efficiently so your most used items are easy to get to if needed quickly. It is all to easy to try and cram a FAK fully to the brim of expensive trauma packs that most people do not have the training or experience to use. 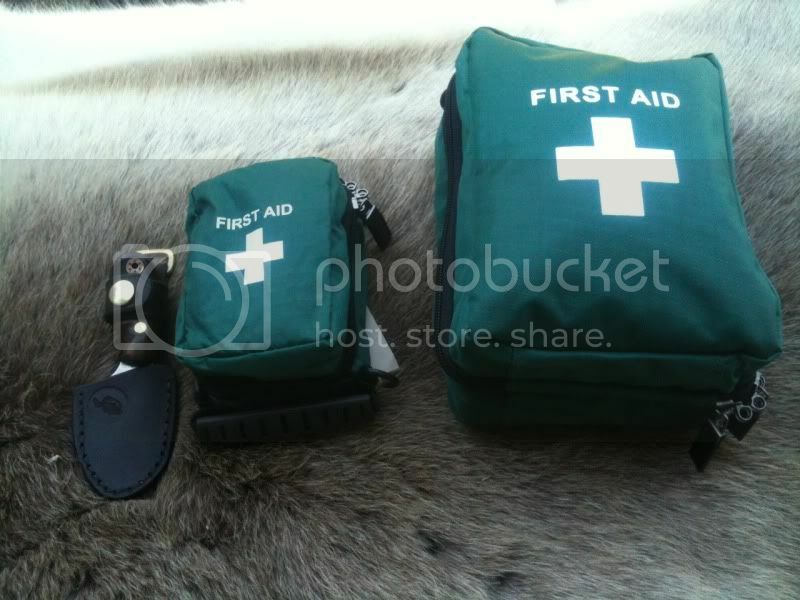 The Field Kit is a great example of a kit that works straight from the supplier with little need to personalise it. I liked the Field Kit and its little brother the Cuts Kit. I can understand the rationale behind the contents as supplied by Evac Pack. I would make a few small changes as already outlined. I would also probably loose the saline solution as I irrigate wounds with any drinking quality water. I like the Vaseline included in the pack. It has loads of uses from treating cracked lips to lubricating a Nasopharyngeal airway. The tea tree oil I am less sure has a place in a group kit. Many people swear by Tea Tree Oil and its antiseptic properties but I would hesitate using in on members of the public. I have substituted mine for some burn gel which ironically contains Aloe Vera and Tea Tree Oil but is recommended by the UK Resus Council for use on burns. 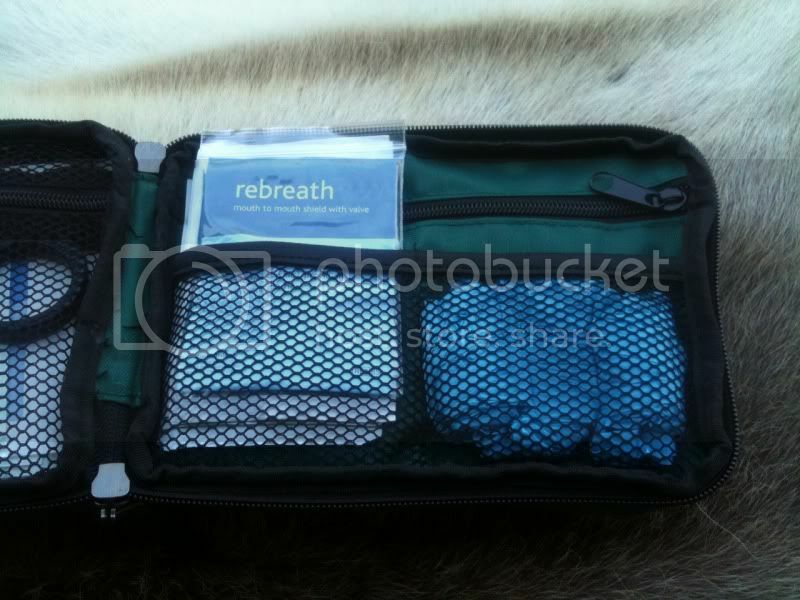 I have also decided to add a small first aid instruction card showing Basic Adult Life Support Protocols. You never know it might be me needing treatment. One of my instructor team was so impressed with the Field Kit that he has already ordered one to replace his old car kit. The dimensions of the Field Kit are 190x120x80mm. Fit for Purpose - 5/5 - Does exactly what it says on the tin! Versatility – 4/5 – Great size with well thought out contents. Durability - 5/5 – Robust construction with good quality supplies.